The episode’s opening—largely given over to Seven Samurai-like gathering-of-disparate-allies scenes were—it was almost possible not to notice that we don’t see the Doctor for the first 20 minutes. Not that his present wasn’t felt. 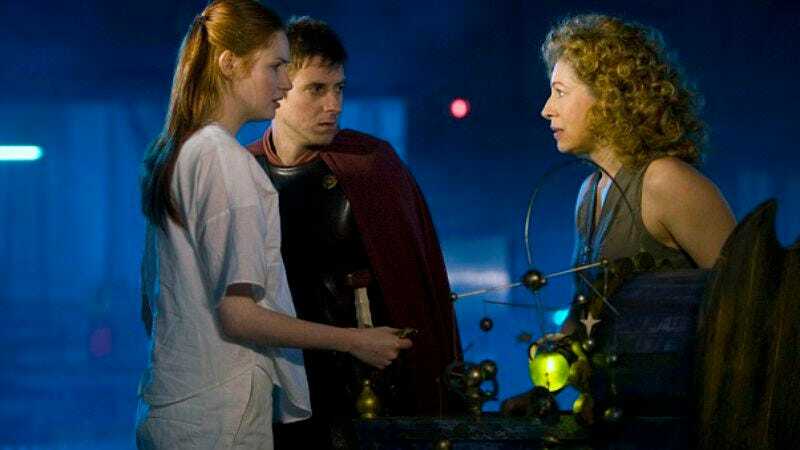 Amy gets a fun bit of dialogue warning her captor’s about the hell they’d have to pay for kidnapping her and her daughter, hell delivered at the hands of a man with no mercy for being wronged who sounds a lot like the doctor before we learn it’s actually The Last Centurion. What began as a clever storytelling device has turned first into a running gag and now into a full-on alter ego for Rory. All the while we learn—at least a little bit—about the world of Demon’s Run, a dreary base populated by Anglican Marines and Headless Monks. And I’m just going to be honest: Some of this left me a little confused. I think that’s partly by design. We never, for instance, learn a sliver about Kovarian’s motivations, beyond hints that their tied to a moment in which she and her allies have grown to fear The Doctor so profoundly that the word “doctor” itself has taken on another meaning. He’s become a “dark legend,” but for some, like Lorna and the Thin, Fat, Gay, Married Anglican Marines, the legend has a certain forbidden appeal. If the episode has a bum note, it’s that the fight might have been more thrilling if we’d better understood the adversaries—though I understand that withholding that motivation is part of a bigger plan—and that the action scenes, in spite of some last-minute surprise additions, aren’t as thrilling as moments in which the Doctor is rising higher than ever before ought to be. Those aren’t huge complaints, however, given how nicely the episode delivered when it came to more familiar characters and the huge revelations they all reach this week. Amy takes instantly to being a mother, responds fiercely when her child is threatened, lashes out when she learns she’s been duped with a Ganger baby, then looks dumbfounded when River reveals herself as her daughter. (And, hey, here’s why I hate spoilers: How beautifully orchestrated was that scene and the way it slowly builds to River telling Amy the truth? You can say things like “Amy is River’s mom” or “Darth Vader is Luke’s father,” or whatever, but seeing them means so much more.) Ditto all the scenes with the Doctor, Rory, and Amy together. And let’s unpack that a bit: So, at first the show teased a romantic relationship between Amy and the Doctor. Then it played up Rory’s jealousy over the same. More recently it keeps introducing just a hint that the Doctor and Amy might still have a romantic future or the Doctor might be the father of Amy’s child, misdirection that probably climaxed with Amy’s misleading speech here. And now we learn that Amy and Rory are probably the Doctor’s sort-of parents-in-law. What a weird, quasi-incestuous tangle. And yet the show makes it work somehow. Finally, let’s unpack this: Kovarian may be a vaguely drawn antagonist at the moment, but she’s got a line that I think helps define who the Doctor is: “The anger of a good man is not a problem. Good men have too many rules.” Taking a big-picture view, the character, and maybe even the show, serves as one long rebuttal to that line. All right, that does it for this half-season. 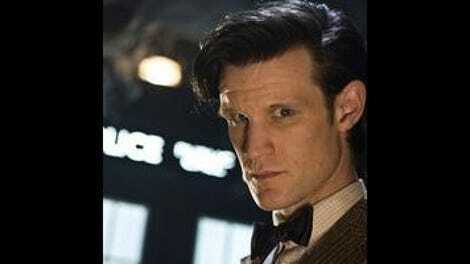 See you in September when apparently the Doctor will be attempting to kill Hitler. Can’t wait. • “Unless there’s two of them.” “That’s a whole different birthday.” Is River just being salacious? Is she referring, as Rory clearly was, to the possibility of a Ganger Doctor? • “Point a gun at me if it helps you relax.” I hate to repeat myself, but, man, is Matt Smith good at conveying subtle changes in tone in mere moments. His Doctor is a swashbuckling intergalactic naïf who’s also a mastermind with considerable powers and a terrifying dark streak. And yet it all makes sense. • “I can produce magnificent quantities of lactic fluid.” / “Big milk thing.” Maybe it’s just that I have a baby at home myself, but those lines struck me as especially clever. • Apparently there’s some kind of budget drama concerning next season. You can read about it here and here. Make of it what you will.